This Recipe makes about 3-4 of the 10" pancakes. And use a 10-12" round skillet or frying pan. First lightly beat the egg in a medium sized bowl, then add sugar, milk, salt and flour, mix well, melt the butter in the frying pan (or skillet) then while stirring the mixture add melted butter to it, continue mixing until there are no lumps, don't forget to scrape the sides of the bowl. Once the batter is well mixed, then over medium heat pour just enough batter in the pan to cover the bottom of the pan, cook until the top of it is "dry" then flip the pancake. This takes a fair amount of finesse, as the pancake is large and not very 'tough'. I get the spatula underneath the pancake and make sure that all around the pancake is loose first, then quickly flip it. After the flip, shake the pan a bit to get the pancake flattened out and unstuck from all parts of the pan. Melt a small partial teaspoon (approx. 1/2 tsp) of butter in the pan before starting the next pancake. Enjoy! Viktoria Svensson-Flynn-Hahner(Tori_1314_26@msn.com) Let me know what you think! If you're making these for a big family, you can stack them up in an oven proof container or plate and keep them warm in the oven at 250F or so, and cover them with foil if you'd like to keep them from drying out. Mr Breakfast would like to thank Viktoria for this recipe. What do you think of Swedish Pancakes? View all 46 comments for this recipe. Wrapping up the holiday season I have to say that this very recipe and I go back 10 years to a time my children were very young and establishing our own traditions meant something. The father in law thought of himself as a breakfast chef and was quite famous for his Swedish pancakes. 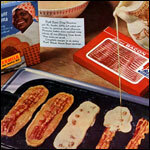 Time came to pass the holiday breakfast skillet to me and with this recipe a legend was born. I LOVE THESE PANCAKES and so will you. I add a small amount of vanilla and use some honey in the recipe. 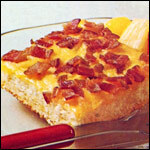 They come out ready to eat with a dollop of whipped cream added and folded into a triangle next to some bacon. The perma-grin lasts from Thanksgiving into the new year at our home. Thanks Viktoria. 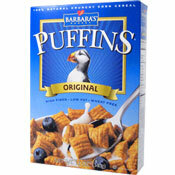 I made this for breakfast and they were absolutely delicious! I made them into pancake rolls and it's now my almost everyday breakfast treat. These are the pancakes I grew up on, and I raised my children with, and hopefully they'll do the same. My wife never had them before me, now she always wants me to make them. 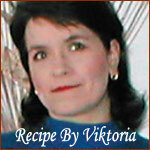 Thanks for this recipe Viktoria. They're very much like my grandmother used to make. For those were asking, these are meant to be thinner than American pancakes and more like a crepe. Thanks! This made great, thin pancakes that we had rolled up with raspberry jam. 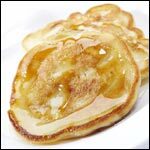 A line of white sugar with lemon juice drizzled on top has always been my family's favorite way of enjoying these pancakes. I looking for a different type of pancake recipe and this was a wonderful find. I had never heard of Swedish style pancakes before. When I made these I added a bit more sweetener to the batter and served them with apricot preserves. My husband LOVES them and so do I. This could easily become a family favorite. This is fantastic. I put a bit of bacon in the middle, drizzled syrup and rolled it up and at it like a taco... so delicious. This is a great recipe if you want thin Swedish-style pancakes. The complainers are trying to find thicker American pancakes. 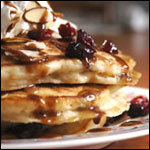 Try the Homemade Pancakes recipe on the side of this page under Most Popular Recipe. That's a good one that I've made several times. This was exactly the recipe I was looking for! Thank youuuuu!! I think Viktoria is kind of hot. These don't sound as good as they taste, but that really doesn't matter. It's delicious. Enjoyed it so much! I thoroughly enjoyed my first attempt. Taste good too! I've been making them with white wheat flour and like them better then Ikea's Swedish pancake mix and please use lingon berry preserve to complement the crepes! I've been making these for two years and my family loves them. Of course they are thin, they are not American pancakes. "tooooo thin to even be pancakes" is a ignorant statement. Breakfast123: if you want American flapjacks, don't use a Swedish pancake recipe; this one is perfect for what it is meant to produce. Swedish pancakes are thin. They are crepes, just like french crepes. Since they don't have baking powder in them, and not very much flour, this should be obvious. This is a very good, basic recipe for Swedish pancakes/crepes. Try making with whole wheat flour and leave out the sugar, and make a savory filling... Very nice!! I don't think this recipe should be under the pancake section. The are tooooo thin to even be pancakes. In the title for those of us who don't know, there should be the word THIN as a key word. They were so awful to cook my morning sucked and we wasted our time. I would never do this recipe again.